This fun butter slime recipe pairs perfectly with a Teenage Mutant Ninja Turtles movie night. 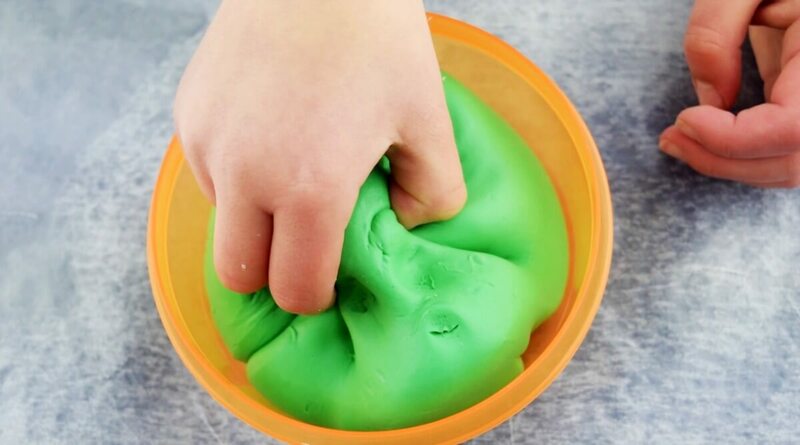 It’s not limited to green or movie night, so let’s get started with this simple slime recipe! We’re no stranger to kitchen science here and we’ve shared our favorite slime recipes. We always have clay on hand here at Ruffles and Rain Boots – polymer clay, air dry clay, and my daughter’s favorite, Model Magic. One day, she came home from school so excited and screaming about a butter slime recipe! Y’All, I was picturing slime made with butter – ewww. 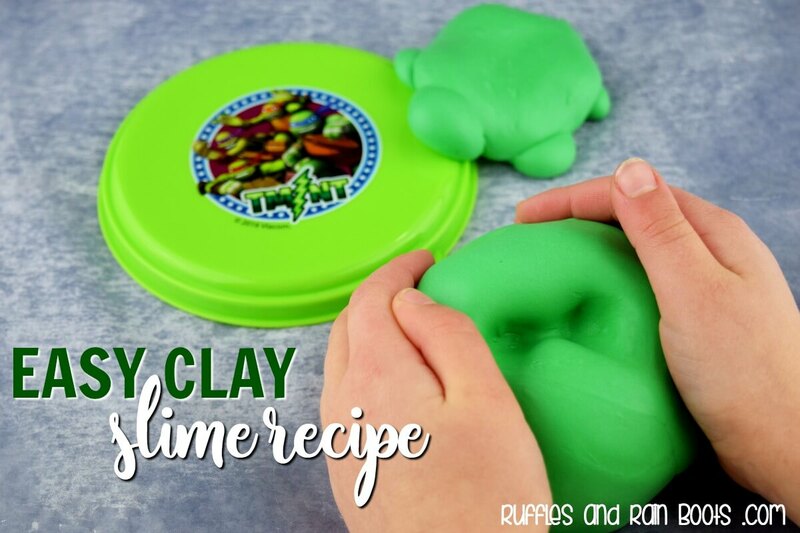 But there is no eww about this fun slime made with clay! We played with it for about an hour before deciding we should watch Teenage Mutant Ninja Turtles for a family movie night. If you have a crafty kid, you have everything you need. Just a note: you don’t need to use contact solution with this butter slime recipe, you can use any activating agent. If you choose to add liquid starch, add it in small quantities because this should be a drier slime recipe in order for the slime to hold shape. RELATED READING: Mermaid Slime for Kids – Safe, Fun, and Super Easy! Combine the glue and baking soda in a craft bowl. Add the contact solution, 1 teaspoon at a time until the mass starts to form. Once formed, remove the mix and start kneading with your hands until it is no longer sticky. Fold in the Model Magic and work until it’s combined. It will be tough to mix in the beginning, however, it becomes soft after working. Store in an airtight container. My daughter chose this fun Teenage Mutant Ninja Turtles one. Have you ever made butter slime? We’ve made it a couple of times and it’s pretty awesome because it keeps its shape very well.